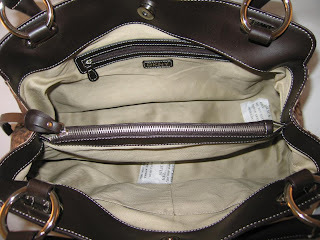 - khaki and natural leather trim. 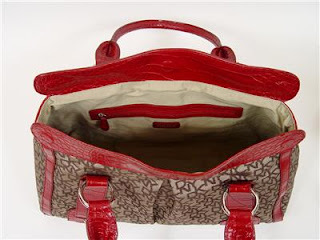 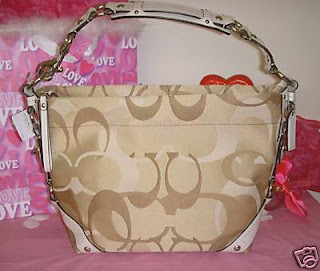 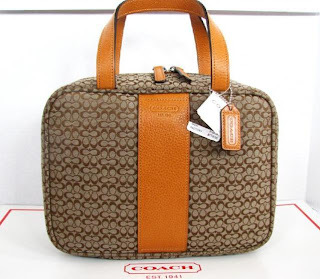 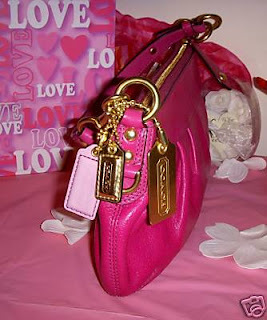 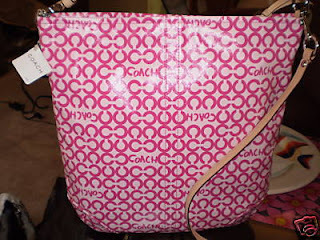 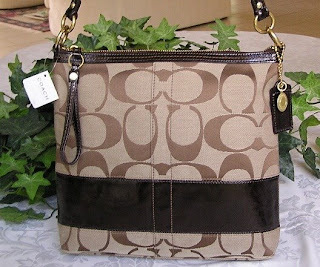 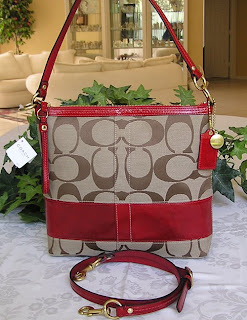 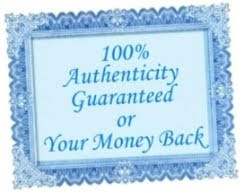 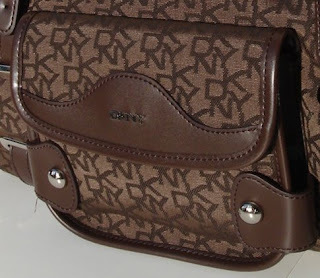 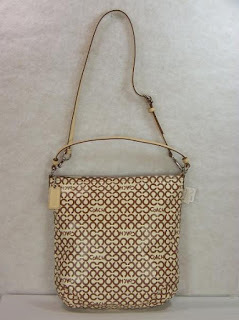 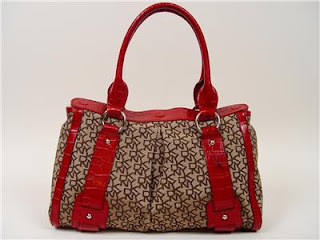 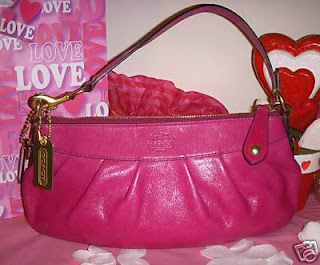 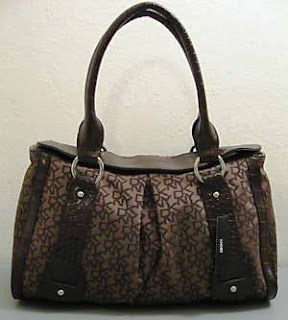 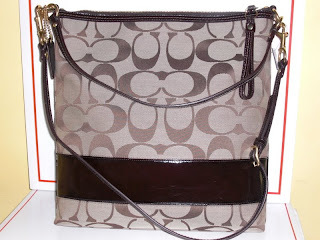 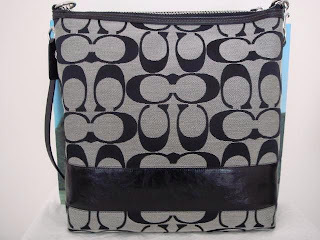 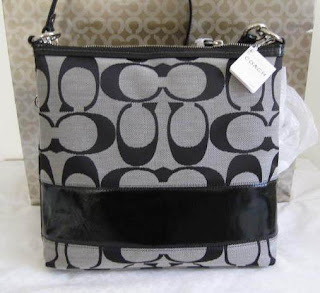 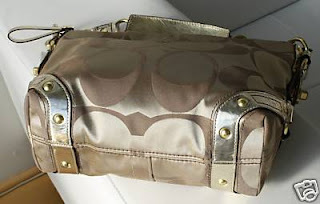 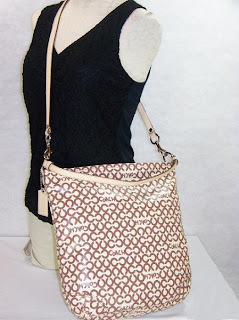 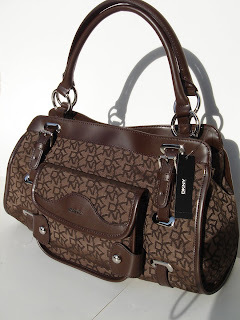 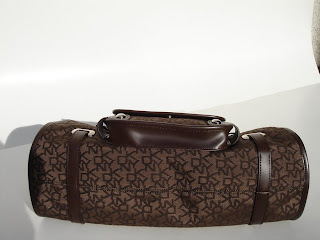 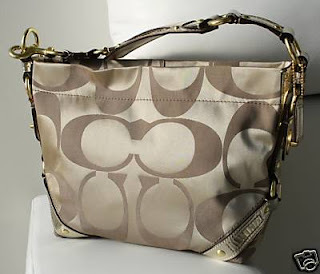 - double zippers around the bag with leather pull. 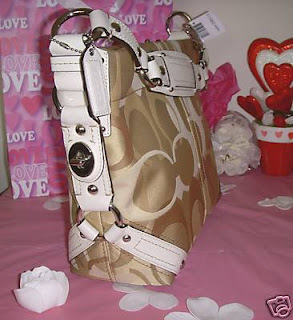 - Measurement: 10.5" x 8.5" x 4"
- Off White Trim and Hand Strap, Strap Drop 5"
- Double handles, handles drop 8"
8" x 7" x 3" with a 46" adjustable shoulder strap. 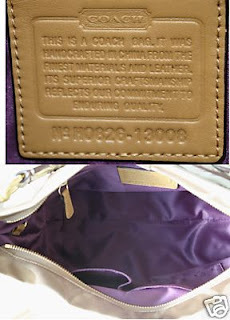 Zip top closer, inside zipper pocket, 2 compartment.